Magnetic barrel style clasps. Size is 16mm x 10mm. 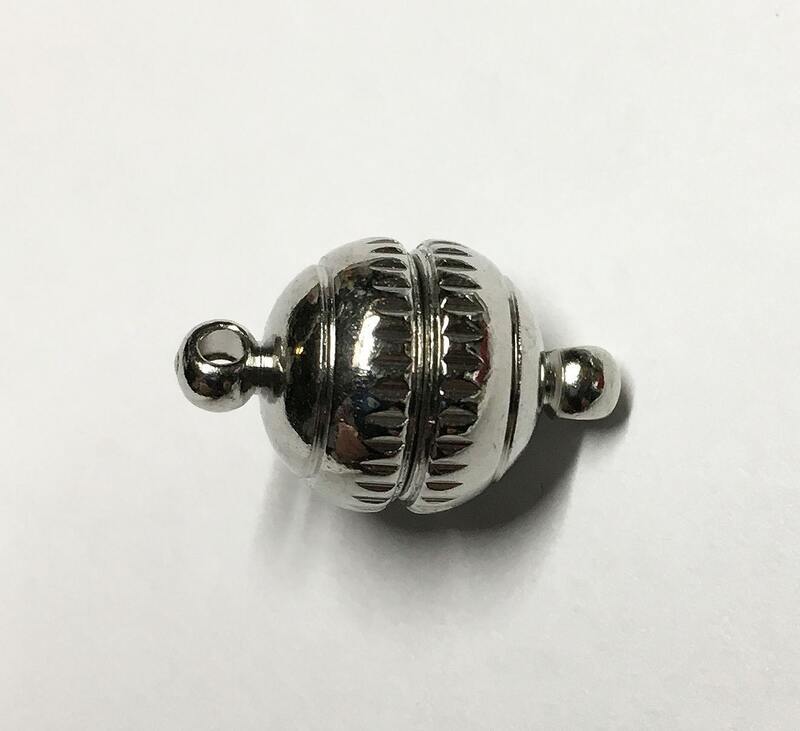 Clasp is silver plated alloy metal. Easy to attach with jump rings (use brass or copper base metal jump rings and not steel plated ones!). Nickel free, anti tarnish.